With the omnipresence of information through digital media and rapid growth of B2B electronic marketplaces, physical trade shows were once predicted to be a thing of the past. Even though internet marketing can help sellers generate business leads directly throughout the day and year without incurring travel and accommodation expenses, it failed to transform the whole business landscape in international trade. The difficulty of developing personal relationships and interacting with products directly can limit the level of decision-making and deal-closing. On top of that, most B2B electronic marketplaces are operated by internet companies who do not have the ability to create an engaging and professional environment for B2B interactions. Today's trade shows are more important than ever. They play an irreplaceable role for face-to-face networking which is often conducive to generating business interest. 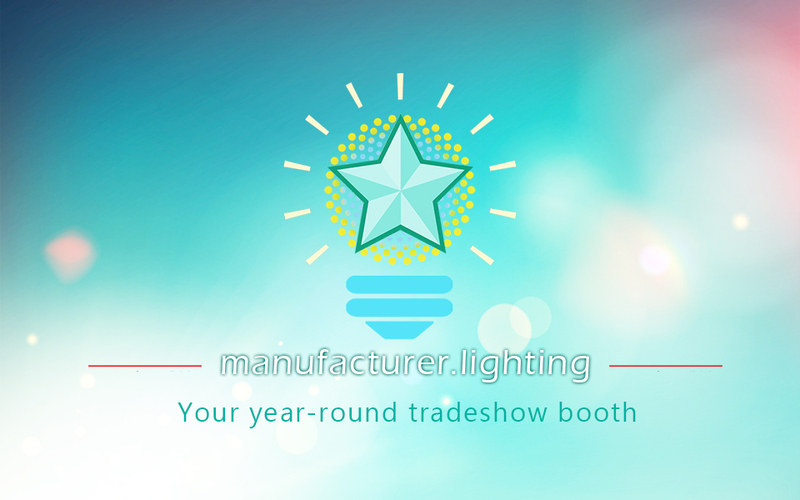 As an owner of an online lighting marketplace, I encourage our members to take full advantage of offline trade shows. In international trading scenarios, language is still a barrier in business communication for manufacturers whose native language is not English. The Internet and online B2B marketplaces are proliferated with middleman companies who monetize the international trading business by using their language, internet marketing, and trading skills. Contrary to expectations regarding the vast communication and marketing power of the internet, online B2B trading platforms are gradually losing their glory while trade shows continue to thrive for information exchange, lead generation and direct selling. International trade shows, which bridge the physical, social and technological distance between buyers and sellers across the globe, constitute an integral element of the industrial marketing process. The internet revolution isn't changing B2B business as much as you think simply because people buy from people. Buyers still love attending trade shows which bring together a multitude of competing suppliers at a single venue for convenience of new supplier evaluation and existing partnership consolidation. Trade shows allow manufacturers (exhibitors) to pursue multiple marketing objectives simultaneously, such as capturing qualified leads, increasing corporate and/or brand recognition, building positive market relationships, and scoping out the competition. The unique capability of trade shows in facilitating the creation or maintenance of intensive communication between sellers and buyers cannot be replicated in anywhere else. Stay up to date on the lighting industry with our comprehensive event calendar. Featuring over 100 trade shows, fairs, and conferences held around the world, our lighting event calendar provides a one-stop handy guide that helps you select physical exhibitions with the best ROI possible. One of the most pressing challenges for lighting manufacturers is to determine which shows align best with their objectives and goals. Selection of a right trade show is based on different motivations and objectives of a company. Our comprehensive list of global trade events are designed to facilitate the implementation of your trade show strategy. Light+Building is the world's largest lighting event that offers an unrivaled opportunity to do business worldwide at a single venue. With over 2,700 exhibitors from 55 countries and 220,000 visitors from 177 countries (2018 edition), the reputation of the fair has distributed far and wide from across the globe. The fair presents a complete spectrum of lighting products that are unique in both breadth and depth. Apart from exhibitor product innovations, high-calibre attendance and strong media presence, Light + Building also offers a comprehensive programme of accompanying events that dig deep into a wide range of specific industry topics, offering valuable insights and the latest trends all together in one place. The autumn edition of Hong Kong International Lighting Fair presents the second world's largest lighting trade show with more than 2,600 exhibitors and 42,700 attendees. High level of internationality, high quality audience and the extensive spectrum of products and services are the key factors behind the success of this event. Unlike other lighting events held in mainland China, which lack international audience and participation of global brands, Hong Kong International Lighting Fair strikes an excellent balance between fair scale, audience quality, global reach and local (mainland China) participation. 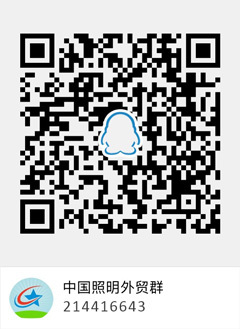 The event attracts virtually all top Chinese manufacturers as well as a number of global industry leaders. The fair is concurrent with Hong Kong International Outdoor & Tech Light Expo which is also organized by HKTDC. The outdoor lighting show draws over 400 exhibitors and 12,000 attendees. The twin fairs combine to provide a global influence and offer exhibitors top-level exposure to decision makers and key influencers across the industry. Euroluce, which lights up every two years, puts people back at the center of lighting design. The second largest European lighting fair exists as an important bridge between the lighting and furniture industry, bringing a whole new perception of what lighting can enhance the look of the space as a design element. Euroluce showcases the very latest in lighting solutions for homes, offices, hospitality, industrial facilities and the outdoors with a wide selection of brands and designs from different styles, colors and texture to facilitate the industry's constant need to adapt. The impressive combination of technological innovation and design culture represents the future of lighting industry. Attracting over 450 top notch lighting brands, Euroluce is the must-go event for lighting manufacturers who build their sustainable growth on branding, design and innovation. Co-owned by the International Association of Lighting Designers (IALD) and the Illuminating Engineering Society (IES), LFI is North America's leading architectural, industrial and commercial lighting event and conference. The premier event connects innovative design, cutting-edge style, state-of-the-art technology, networking opportunities and continuing education courses. The spectacular scope of exhibits and unparalleled conference programs attracted a huge pool of decision makers, industry influencers, and lighting professionals. Lightfair International brings the industry's newest and most advanced products and technologies and a large spectrum of solutions and innovations such as LEDs, OLEDs, luminaires, energy-efficient products, IoT (Internet of Things), intelligent lighting, alternative energy, solar power, and controls. LFI is a great place to launch new products, increase brand recognition, network within the industry, reveal new technological advances, learn about industry trends, and demonstrate lighting solutions. You simply can't afford to miss this event! At LuxLive you'll meet global market leaders in lighting. The event attracts professionals and senior decision makers from all across the lighting and property technology industry hunting for new suppliers and partners, making it an unmatched networking opportunity. The big names, including Signify (Philips), Osram, Nichia, GE Lighting, Tridonic, Aurora, and ABB, will be out in force and have a massive presence at LuxLive. The exhibition is complemented by a first-class educational programme that allows attendees to connect with and share best practice with peers from a range of industries. This is a comprehensive exposition designed to facilitate the export business in China. Canton Fair edges in our top 10 list of lighting events because of its high quality buyer attendance and broad distribution of buyer origins. It's not an industry event but draws highly targeted audience who make purchasing decisions for importers worldwide, including global chain stores, E-retailers, government procurement agencies, influential distributors and wholesalers, etc. The event is a good fit for lighting manufacturers who offer interior, commercial, solar, and decorative lighting products. Guangzhou International Lighting Exhibition (GILE) is huge when compared with other lighting trade shows in terms of scale. The latest edition of this event attracted 2,600 exhibitors and 165,000 visitors. However, quite a number of its audience are domestic lighting professionals, industry peers, and trading agents who attend this event primarily for competitor intelligence research or product sourcing. Due to its low quality international buyer attendance and the IP infringement concerns, GILE is not a top priority for some of the top Chinese lighting manufacturers and global lighting brands. Nevertheless, GILE is a good place to find manufacturing partners and component suppliers e.g., startup companies or professional contract manufacturers that can not be found in other international events. The largest comprehensive lighting exhibition in Japan. Hosting 200 exhibitors in 700 booths and attended by more than 80,000 visitors from 55+ countries, the event showcases industry trends and innovations in LED, OLED and IoT. The fair bring together the entire lighting spectrum under one roof, ranging from components to complete systems for architectural, commercial, residential, outdoor, retail, vehicle, agricultural, medical, and stage lighting. The show is also an excellent platform for building contact with trading partners in Japan and networking with industry professional such as lighting designers, specifiers, architects, consultants and engineers. Some of you might be surprised to find CES on this list. Digital lighting technologies make it possible to transform luminaires and lighting systems into smart, digital nodes. Connected lighting with intelligent controls and embedded sensors deliver a wide range of applications beyond energy and maintenance savings. Intelligent lighting systems with network connectivity are expected to form the nervous systems of the deployment of Internet of Things (IoT) solutions for smart cities. Like other smart home products, smart lighting products allow consumers to transform their everyday home lighting into extraordinary experiences. CES offers intriguing possibilities for the lighting industry to present intelligent and interconnected solutions. The last one is hard to pick. Expolux, Strategies in Light and several other events are candidates for this spot. We finally decided that LpS (International LED Professional Symposium + Expo) would be a great choice. LpS is hosted by Luger Research e.U, the publisher of LED Professional, one of the highest quality publications dedicated to the design and application of LED lighting systems. LpS is Europe's leading international lighting technologies conference and exhibition for design, testing and production of lighting systems, controls and equipment. The event has continuously grown and developed into one of the most important conferences on innovations in the lighting industry. LpS will be concurrent with Trends in Lighting (TiS) event, which focus on topics such as Human Centric Lighting, Connected Lighting, Smart Controls, IoT and Light as a Service. IES Annual Conference and IES Street and Area Lighting Conference. LightShow West - specifically created for lighting professional in West Coast of the United States. NCEL Expo - the top regional electrical show in the Upper Midwest of USA. Lighting Days - lighting conference and exhibitions in France. National Hardware Show and Eisenwarenmesse - portable work lights, outdoor functional lighting. Christmasworld - lighting products for seasonal and festive decorations. SEMA Show and AAPEX - aftermarket automotive lights, work lights, off-road lights. HD Expo - hospitality lighting. EuroShop and GlobalShop - retail lighting. Offshore Technology Conference - explosion proof lighting. Horticultural Lighting Conference USA and Europe. Prolight + Sound Frankfurt - stage lighting. InfoComm - digital signage, LED/OLED displays. ISA International Sign Expo - digital signage.